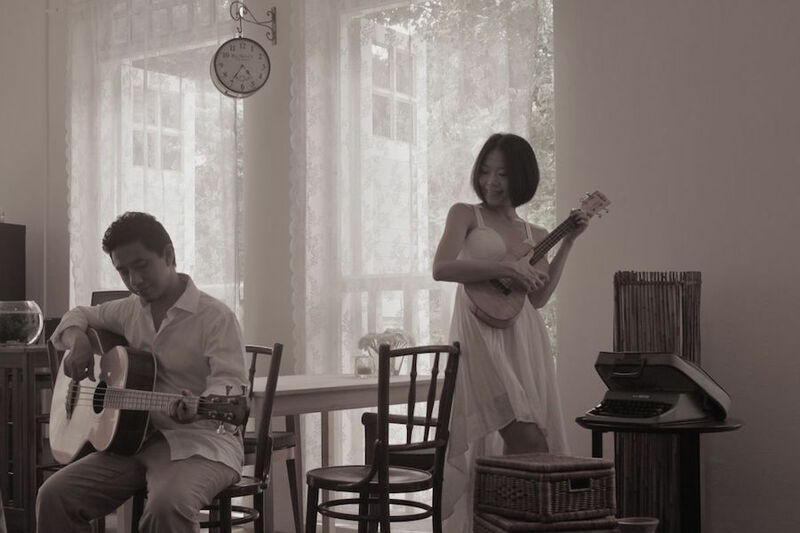 A ROMANTIC TWIST TO THE UNASSUMING UKULELE, WITH VOCALS IN SWEET HARMONY, A SWINGING BASS AND THE OCCASIONAL MELODICA. Available in either a roving or on-stage lineup, Polkadot + Moonbeam performs a repertoire of jazz and evergreen classics, from luscious ballads to lively swing numbers and Latin grooves. They seek to share their hearts through their music, always with a touch of nostalgia and a lot of love. 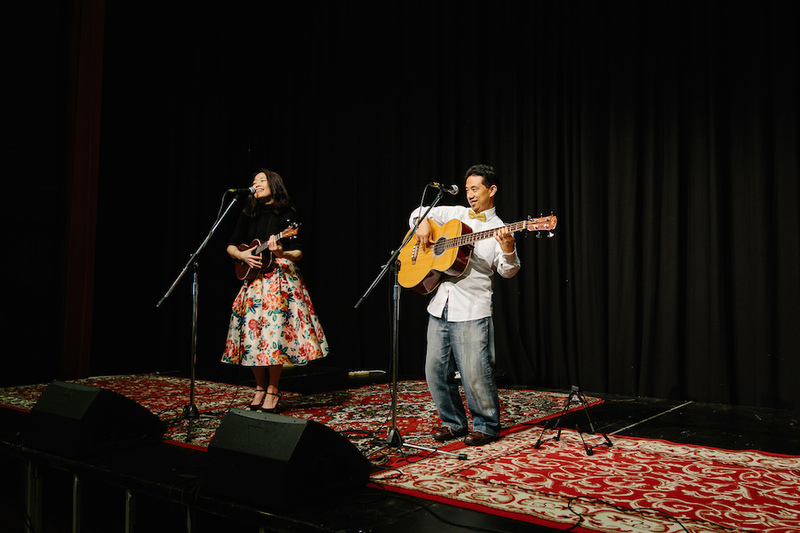 Named after Frank Sinatra’s first hit song with the Tommy Dorsey Orchestra in 1940, this duo was formed in 2010 in Sydney, when award-winning Singaporean singer-songwriter Juliet Pang met Sydney-based wandering musician Didi Mudigdo. 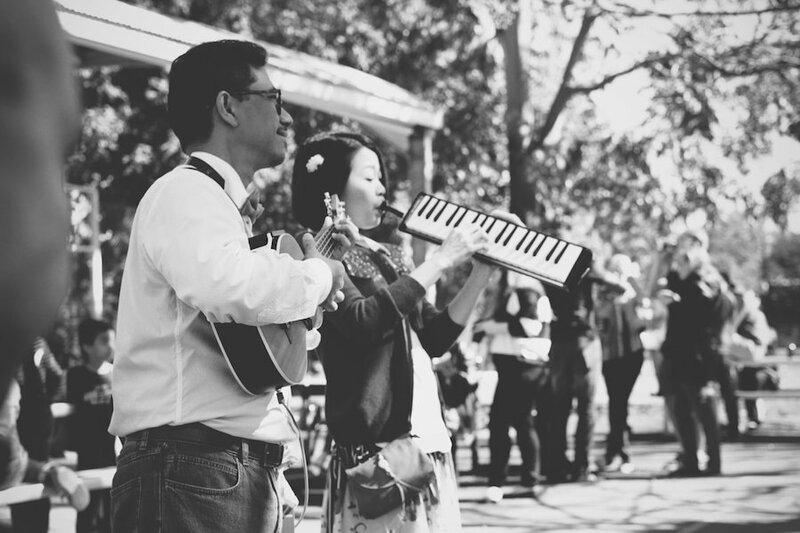 Discovering their unique musical synergy when they first met, they formed Polkadot + Moonbeam, and went on to perform acclaimed shows at jazz venues and festivals in Australia, Japan, China, Singapore and Malaysia. Juliet and Didi are now married and relocated to Perth in 2015. Nat King Cole – L. O. V. E.
"Thanks for being a huge part of our event. You guys are awesome! And not only your music, but how you engage the guests." "The jazz numbers and classics you performed added the right touch to our venue, and the vibe was breezy, relaxed and intimate - exactly what we had hoped for. Many of our guests told us afterwards that they really enjoyed themselves, so we'd really like to thank you for making our special night extra special." "Thank You for making our special day a perfect 10!"